- Wash an dry the cherry tomatoes. - Chop coarsely the peanuts, then grill them without sauce for 2-3 min in a pan. Add salt and pepper. .
- Pour the frilled peanuts on a plate and the sesame in another one. 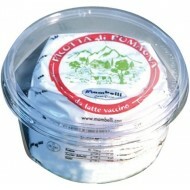 -Crumble coarsely the Ricotta of Romagna on a plate with a fork. Add salt and pepper and stir quickly: the Ricotta must remain firm. -Take a knob of Ricotta in a hand and put a cherry tomatoe inside it, making a ball. Roll the ball on the sesame seeds or on the chopped peanuts. -Prepare in this way other cheese balls, rolling half of them on the peanuts and the other half on the sesame seeds. Store in fridge for at least 1 h to harden them. 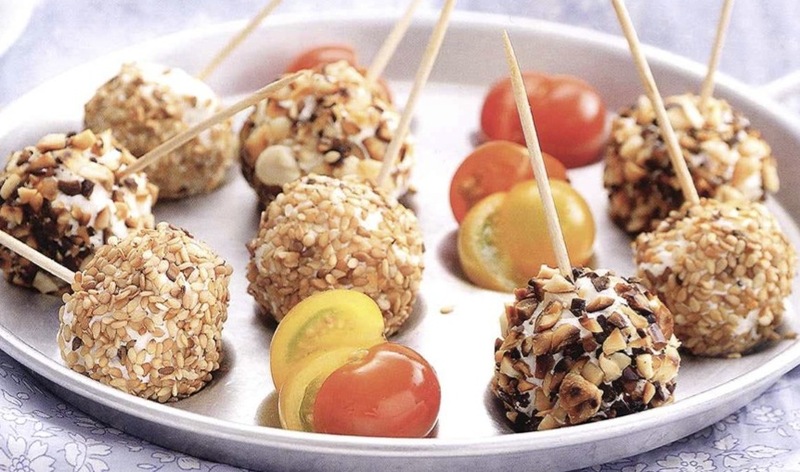 -Serve the meatballs as an appetizer with some toothpicks (cut some tomoatoes in two halves to give a touch of color).